I went to the Premium shop this weekend to buy me some camos, but got errors every time I hit the purchase button. It literally would not allow me to purchase anything... Was something goofy going on?? Also, how do you update payment information? My CC is linked in the checkout, and I cannot change it. 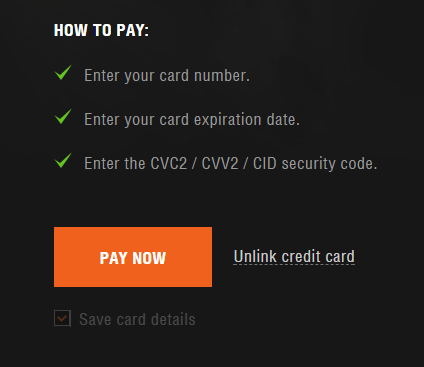 (there's no option for that- just use CC or use a 3rd party payment option.) I wish to switch to another card, but cannot find how to do that. What Corrado showed was from the main page prem shop. I went there, and changed my info and it worked fine. The one you get from port does not have that option- it's just use linked card, or use paypal et al. Sometimes there are different items in each, too.